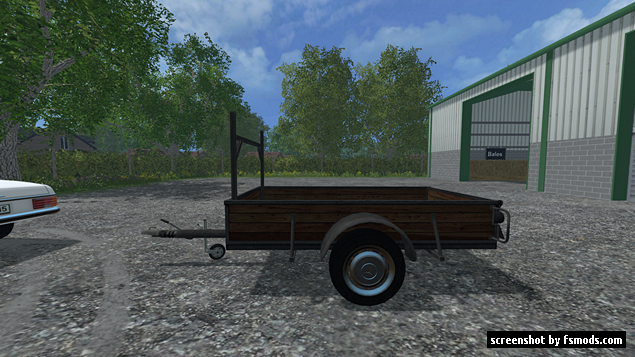 This is common one axle car trailer for farming simulator 2015 by Modall. It’s have nice Mercedes wheels so we have use nice old Mercedes Benz 200D for purpose of test with. Trailer have nice features like some animated parts, lights, tire trucks on road and of course it is washable. That means trailer gets dirty after few minutes of use but can be washed if you wish. The T680 double-axle agricultural trailer is designed for transporting agricultural produce.